The scent of the holidays is definitely in the air around here! Decorations are coming out, candles are burning and thoughts are turning back inside the house! For those of you who are wondering or forgot why I am decorating for Christmas already (no worries, Winston is wondering the same thing! ), it is for a magazine that comes out with our newspaper this fall. I have been asked to contribute holiday decorating ideas, using things you already have in your home. So, that is why you are seeing me tangled up in all the holiday fuss and muss! Otherwise, I’d be strictly sticking to pumpkins right now. I love fall. Just the thought of sweet smelling cedar logs burning in the fireplace and pumpkin bread baking in the oven conjures up warm wonderful memories for me. Isn’t the sense of smell powerful? When I went to Venice last year I was warned that it smelled really bad! I wondered how such a beautiful city could smell bad? Well, it turns out it doesn’t smell bad at all! It smells like the sea! That is part of the ambience of the whole experience! I thought it was the most enthralling city I had ever been to and I was taking in all of it through my senses. The sound of the gondolier singing his way through the canals, the water lapping at homes and docks, the smell of the sea and fish, the beauty of the ancient buildings built on the water, the textures of glass and stone and artwork everywhere…magical! Without its scent, something would definitely have been missed in the whole experience. I myself enjoy having my signature perfume, something that I wear all the time and people recognize as being “me”. I actually have two signature scents, ones I have worn for years. Call me predictable and boring, but I find it very romantic! Something about knowing myself and what I like gives me a feeling of confidence. I know what scents I want to smell all day and what my husband likes to snuggle up to, so I can cross that decision off my list and move on to other things! I wear Chanel Coco most of the time, and I also have Jessica McClintock. They are just ME. I may find other “me” scents and experiment now and then, but I really feel no need to change something that works for me. I usually wear Jessica in the spring and summer and Coco in the fall and winter. I think our homes can have signature scents as well. Scents that people pleasantly associate with being in our home. Kitty litter should not be one of them. Diaper pail is another no no! Giving your home signature scents that change with the seasons give your home personality that furnishings alone can’t achieve. For those of you sensitive to scents, find natural ways to scent your home! Keeping things clean is a good place to start. Dust and mold not only stink but make you sick. Fresh linens always freshen a home. Bake yummy smelling bread. Boiling orange peel, ground cinnamon, vanilla, ginger and cloves. Lavender and herbs potted in your kitchen will smell yummy. Even a bowl overflowing with lemons can smell divine and make you at least imagine your home is lemon fresh! 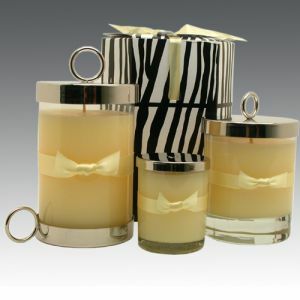 Find your signature scents and create memories that will be triggered by those scents. You can change them with the seasons and have fun with them. Bake brownies on Friday nights and banana bread on Sunday afternoons. Make hot wassail in November. Combining traditions with scents is a sure way to create wonderful vivid memories for the future. I really want to hear from all of you around the country and around the world! What are your favorite scents? Do you have candles that are just the best for long lasting and pleasing scent? What about those of you who are sensitive to smell, do you have ideas to keep your home free of scents but still smelling fresh and clean? What laundry soaps, hand soaps, household cleaners, fire wood, plants and other good smelling things do you recommend? Thanks for participating! Be sure to check back to see everyone’s recommendations! Still working on my holiday photos…I ate a lot of powdered sugar donuts today. You know, when you are working on a display you want to make sure that things taste just right. For the photo. That and you don’t have time to fix anything better. And what is better than a powdered sugar donut, anyways? It helps the photos to look less staged, too, with all of those crumbs all over the tablecloth. The little things in the star dish above are not donuts, though. You wouldn’t want to eat those. They are shells. Aren’t they pretty? So between Bing Crosby and my donuts, I am making some progress. You can’t get into the holiday spirit without Bing. I will be back with more photos tomorrow (I will show you a several a week for the next few months!) and we can start talking about how to scent our homes for everyday and the holidays. I’m counting on all of you to pitch in on this one. Start thinking now (but don’t post it yet, we want to do it all on ONE post!) about your favorite home scents, favorite candles (brands and scents) or methods to scent the house, favorite laundry soaps, cleaning products, non-allergenic ways to scent the home (or keep it from smelling at all), things you bake or boil to get things smelling nice, tips, tricks, whatever! As long as it helps your home to smell good and not bad, we are going to list it all! Then when we need to know what the best smelling candles are, the best smelling laundry soaps, non-allergenic products, or potions to boil on the stove to scent the air, we will have to look no further than our own resident blog readers and all of their informative comments. You’re the best! I really appreciate all of your comments and emails. Thanks to each one of you who has stopped in! You are always welcome here.